Distracted driving is a bane of auto insurance. But some apps could lower your rates. Root Insurance, a startup auto insurance company based in Columbus, Ohio, has raised $100 million and is now valued at $1 billion by its investors. Tiger Global led the investment round and was joined by Redpoint Ventures, Ribbit Capital, and Scale Venture Partners. The size of the round and valuation is unusual for a Midwestern company, with such startup funding usually more common in Silicon Valley. Over the past 18 months, auto insurers have expressed renewed interest in what is known as usage-based insurance as consumers become more comfortable with sharing their data to get discounted rates, said Gwenn Bézard , co-founder and research director at financial services research firm Aite Group. For instance, more than 30 percent of new customers are now opting for usage-based insurance at Nationwide and Progressive, Bézard said. 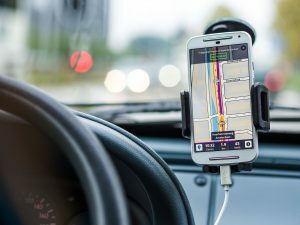 Usage-based insurance, which bases rates on your driving record more than your credit score, relies on devices known as telematics to track driver behavior.